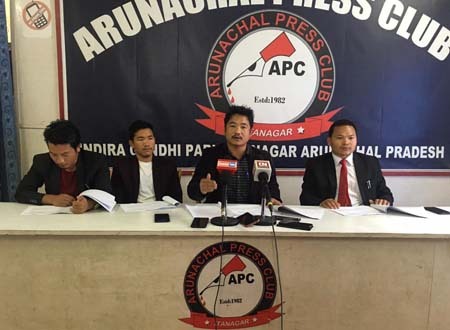 ITANAGAR, Feb 12: The Arunachal Law Students’ Union (ALSU) on Tuesday said the joint high power committee’s (JHPC) recommendations in the matter of issuing permanent resident certificates (PRC) to non-APSTs should not be tabled in the coming legislative assembly. Copies of documents purporting to be the recommendations of the JHPC are afloat on the social media even before the JHPC has tabled its recommendations before the cabinet. Providing copies of what he claimed to be the committee’s recommendations on the PRC issue, ALSU president Yurum Tamin during a press conference at Arunachal Press Club here argued that some of the points in the recommendations would require modification of the Bengal Eastern Frontier Regulation (BEFR), 1873. Tamin expressed apprehension that the refugees may seek land rights once they are granted citizenship status by the SC. Seeking a permanent solution to the issue, Tamin suggested waving off Article 371 (H) and implementing Article 371 (A) or 371 (G), as in Nagaland and Mizoram, respectively, before taking decisions on the PRC issue. “The decision of the parliament supersedes the decisions of the state governments. Unless we have Article 371 (A) or (H), we cannot guarantee that they will not be able to get APST status, as well, in the future. The government has not estimated future consequences,” Tamin said. The union urged all MLAs to oppose the recommendations, and asked the state government not to grant PRCs to the non-APSTs. “The last alternative is to give them their autonomous council. 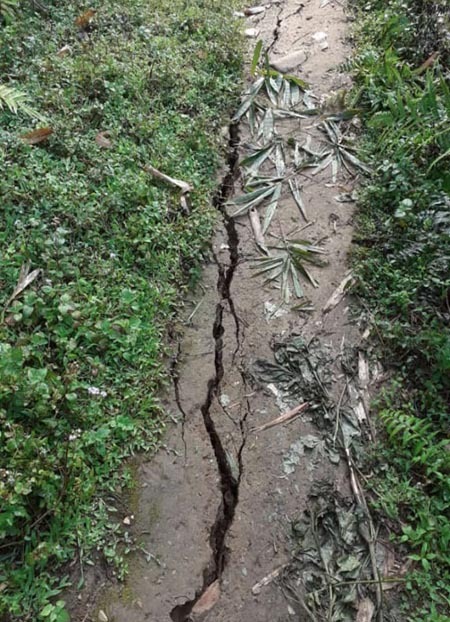 We are ready to part with the land,” Tamin said, and condemned individuals and organisations supporting the granting of PRCs. He said the ALSU would launch a “rigorous movement” if the recommendations are passed in the assembly.